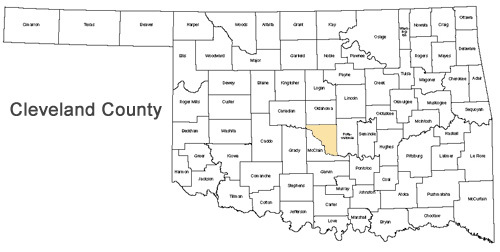 Cleveland County is located between McClain County and Oklahoma County. The total area of Cleveland County is 536 square miles, making it the smallest county in the district, although it has by far the largest population, with approximately 255,755 residents. 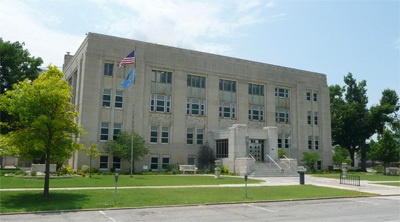 Norman is the county seat, the home of the University of Oklahoma, and the largest city in the district with a population of approximately 102,827. That figure includes approximately 30,000 university students. Cleveland County extends north to South 89th street in Oklahoma City, covering the Moore area and a large part of south Oklahoma City. Moore is the second largest urban area in the district with a population of approximately 49,277. The Cleveland County area is serviced by seven local law enforcement agencies: Norman Police Department, Moore Police Department, Noble Police Department, South Oklahoma City Police Department, Lexington Police Department, Oklahoma University Police Department, and the Cleveland County Sheriff’s Department. There are two major Department of Correction facilities located in Cleveland County: Lexington Assessment and Reception Center and Joseph Harp Correction Center. Also located in Cleveland County, both in Norman, are Griffin Memorial Hospital and Central Oklahoma Community Mental Health Center. The Cleveland County staff consists of approximately 50 staff members including a First Assistant Travis White, A.D.A.’s, support staff, investigators, interns and part-time employees.